Sidney Pryce wants the protagonists’ help to set up a Big Store, to sucker a rich American into thinking he’s buying into a Burnt Auction. The rewards, Pryce promises, are incalculable; but soon after Pryce enlists their help, strange bird-creatures haunt the protagonists. How, they wonder, does Japanese folklore figure into it? 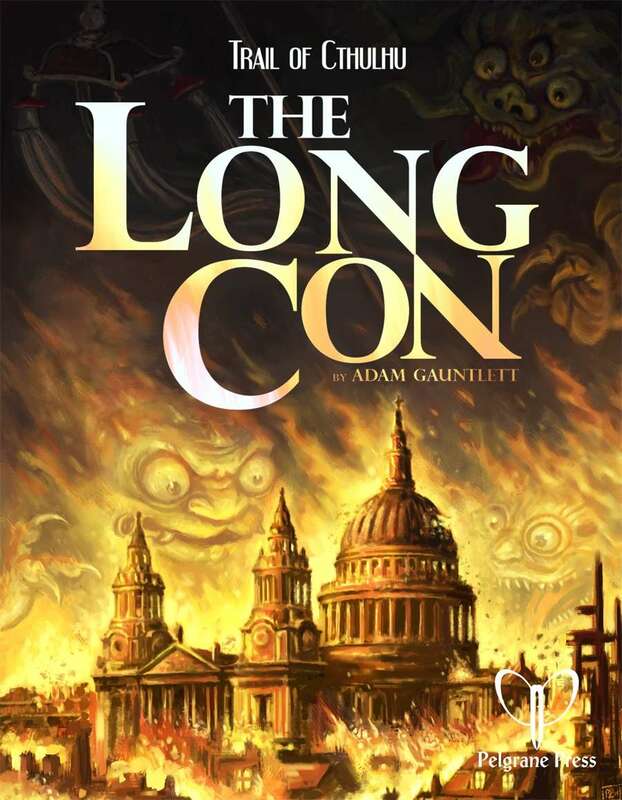 The Long Con is a new stand-alone Trail of Cthulhu scenario from the pen of Adam Gauntlett (Soldiers of Pen and Ink, Dulce et Decorum Est, and many more). I would love to buy a print volume collecting the Long Con with The Many Deaths of Edward Bigsby. An expanded collection of adventures, including these two, for use with the terrific Bookhounds of London would be even better! Any chance? Big Store? You mean Big Score? Hey Fred, thanks for the question. The Big Store is a confidence trick technique for selling the legitimacy of a scam, and typically involves a large team of con artists and elaborate sets. Often a building is rented and furnished as a legitimate and substantial business, hence the name. A more descriptive text for this product might be needed. It's very short and cryptic.